David Gower is an excellent after dinner speaker, he entertains his audiences with his laid back humour and endless source of amusing anecdotes from his days at the crease and from his extensive travels. 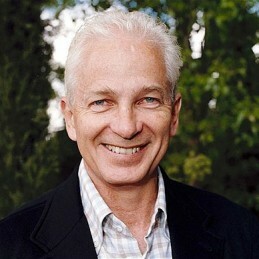 Educated at King’s College Canterbury and University College London, David Gower became a professional cricketer in 1975. His achievement of scoring 8,231 runs in Test Matches makes David England’s second highest ever runs scorer in Test Match history. His stylish play took him to 18 Test Match Centuries and 32 Tests as Captain of England until his retirement in 1993. An all round sportsman, tennis and skiing are among his other sporting accomplishments. He has ridden in a British bobsled and returned on several occasions to the Cresta Run. After his retirement from professional cricket, David turned his hand to commentating and has covered cricket series for the BBC and Sky Sports. His amusing manner led him to sit as a team captain on the incredibly popular ‘They Think It’s All Over’ for over 8 years. He was awarded an OBE in 1992. David is not only an excellent speaker, entertaining his audiences with his laid back humour and fund of anecdotes from his days at the crease and from his extensive travels, but he is delightful company and a joy to work with.